Lourdes Live Well Club Presents...Ask the Doc about your Heart-Health! Ask the Doc about your Heart-Health! to protect your heart from Cardiovascular Disease. Please bring your questions and enjoy some complimentary fresh fruit! Sponsored by Lourdes Health System. 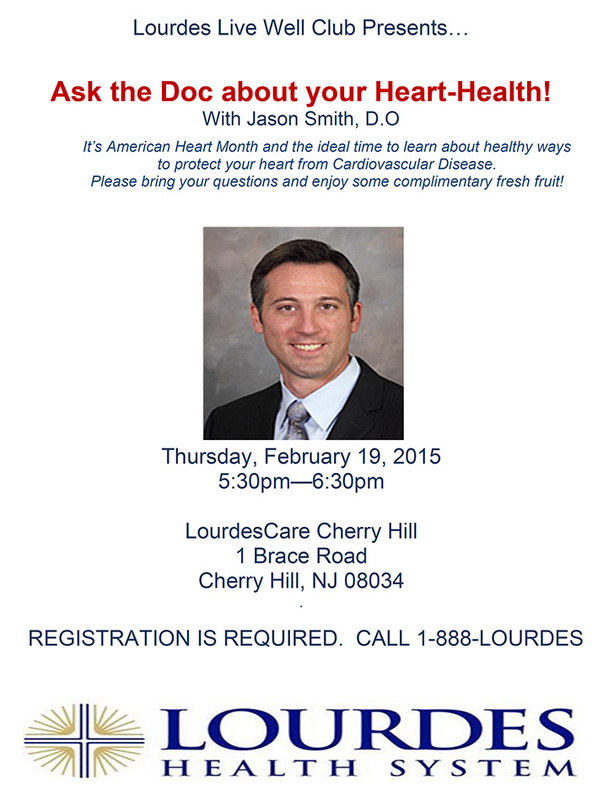 Ask the Doc about your Heart-Health at LourdesCare on 2/19/15 at 5:30 pm. To register, call 1-888-LOURDES.